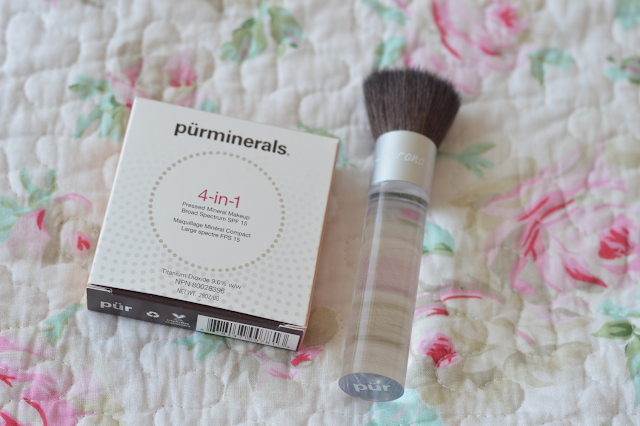 PUR Minerals is a new brand to the UK from overseas and is available exclusively at Marks and Spencers. The brand has a great range of mineral based products as well as skin correcting primers, concealers, lip products, eye pencils and cheek products! 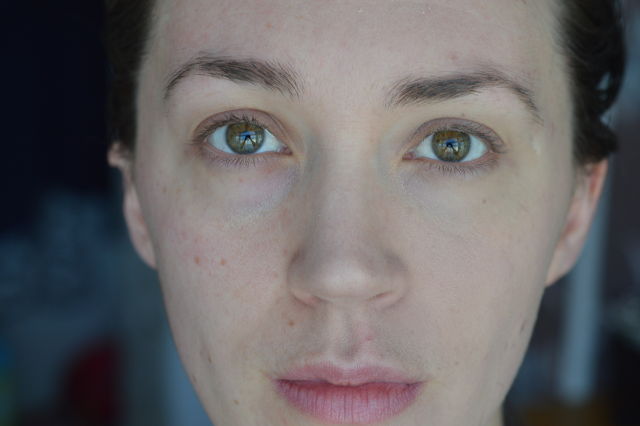 I've been putting the 4-in-1 Pressed Mineral Makeup SPF15 to the test and here's my thoughts. The compact is rather heavy but solid and very sturdy, I like the simplicity of the branding and packaging. I have tried loose mineral makeup in the past and didn't favour it much but having said that I'm totally converted to the pressed variety. 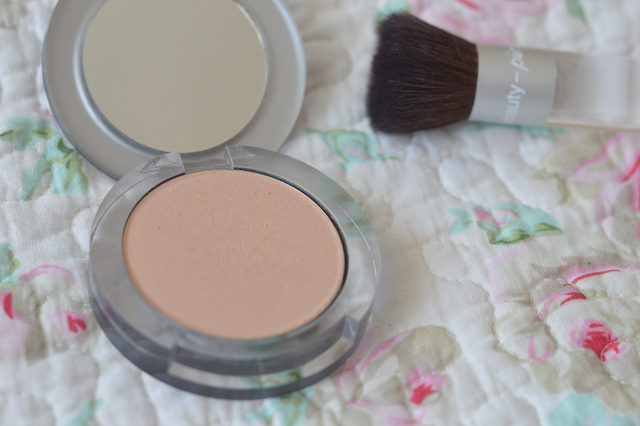 I love multi-tasking products, a foundation, concealer, powder and SPF15 protection! My skin is a little dry at the moment so I made sure I prepped my skin and applied a good primer before hand. 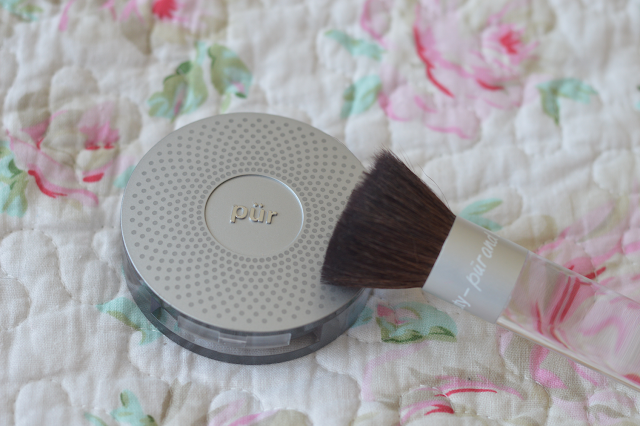 The pressed mineral makeup is finely milled and very lightweight, I used the PUR minerals Chisel Makeup brush and found it did the job but soon swapped it for a more softer densely packed brush. If you have concerns over redness or pigmented this product is for you! I have some redness on my cheeks thanks to the winter weather and the sensitivity of my skin. Just one application of this and the redness is gone, it works great at concealing fine lines and evening out the skin tone. I also have used this over the top of my eye concealer and again it works wonders. I'm really interested to find out how good the actual under eye concealer is! I've used this every day since it landed in my hands and I can tell you this will be a staple for me in the warmer months. Another good factor to consider is the range of shades, there's a total of ten shades ranging from porcelain to deepest. You can see below which side I've applied the pressed Mineral Makeup. I couldn't believe the difference, noticeable instantly! Have you heard of PUR minerals? What do you think of the 4-in-1 compact? It looks lovely on your skin. I hope they do! I'm excited to try more of the range, I have high hopes!